﻿30th Birthday Party Catering From Hog Roast Stratford upon Avon! Hog Roast Stratford upon Avon were kindly asked to cater for an event for a local girls 30th birthday. Her parents had arranged a get together with friends and family from different parts of the UK to surprise the birthday girl. With the usual choices of buffet foods from other companies around – her mum decided it would be great and unique to have something different. Hog Roast Stratford upon Avon were more than happy to cater for this special event. Hog Roast Stratford upon Avon arrived at the family farm several hours before the birthday girl was due to arrive. The gazebo, lighting and tables were all set up, the meats and accompanying dishes were cooking away and all that was left to do was await the guests and birthday girl. The guests began to arrive later that afternoon, some of which came over to see what the lovely smell was and eager to get a taste. With the sun setting on the fields behind us and the guests with bubbly in hand, the birthday girl arrived to a wonderful surprise of a few familiar faces. 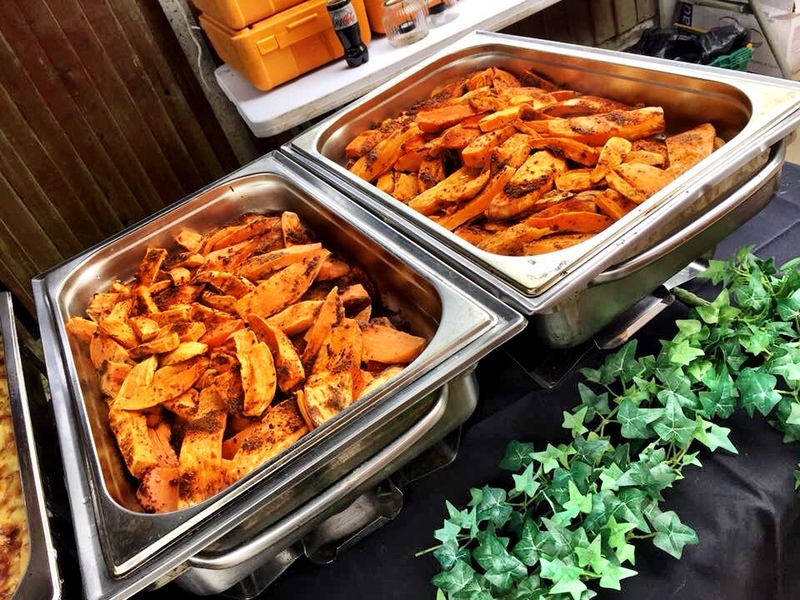 After catching up with some of her loved ones, we began serving our melt in the mouth meats and accompanying dishes – including our crispy Cajun spiced sweet potato wedges with a light fluffy inside – the birthday girl first in line of course. A lot of hungry eager guests followed behind her – Hog Roast Stratford upon Avon served each and everyone in great time and it was a joy to watch all off them enjoy the food. Clear plates all round and lots of happy guests all full ready to party the night away with a few glasses of bubbly. With everyone dancing in the moonlight and having an evening full of great memories, Hog Roast Stratford upon Avon cleared everything away in a quick and efficient manor without any of the guests having to lift a finger. Lets be honest at the end of party no one wants to be clearing all the food, equipment and rubbish away – so why not let Hog Roast Stratford upon Avon do all the work. Housewarming Celebrations With Hog Roast Sparkhill! Graduation Party Hog Roast for a Mature Student!